Get Santana tickets to hear the iconic guitarist Carlos Santana and his band live at Ticket Galaxy! Santana is a band headed by famous Latin guitarist Carlos Santana. 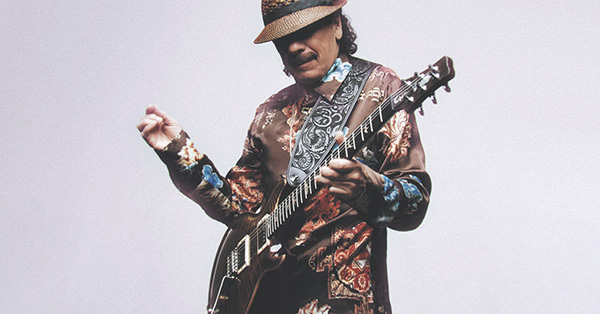 Santana is a Mexican American who grew to fame in the ‘60s and ‘70s with his band Santana. The members have switched out over the years, but Carlos Santana remains at the head. Santana blends rock, Latin, blues, and jazz genres throughout his music. Carlos Santana has ten Grammys and three Latin Grammys. Santana the band has been part of nine Grammys and three Latin Grammys, as well. He continues to tour decades and decades into his career. The band’s self-titled debut album dropped in 1969. Carlos Santana has also released solo discography during the band’s lifespan, as well. Santana was inducted into the Rock and Roll Hall of Fame in 1998. The band’s latest album dropped in 2016 titled ‘Santana IV.’ Get Santana tickets to see the band and its famous guitarist live with Ticket Galaxy!